Zoos remove animals from their homes, move them thousands of miles away from the climate, surroundings, and diverse ecosystems they are used to, and isolate them to tiny artificial environments. For instance, a polar bear is used to roaming an endless stretch of land, to hunting, and to raising her young in the wild. According to Captive Animals’ Protection Society, polar bears in zoos typically have one million times less space than they do in the wild. They don’t hunt for their food or interact with other animals. And, like many other zoo animals, they don’t get to choose their mates. 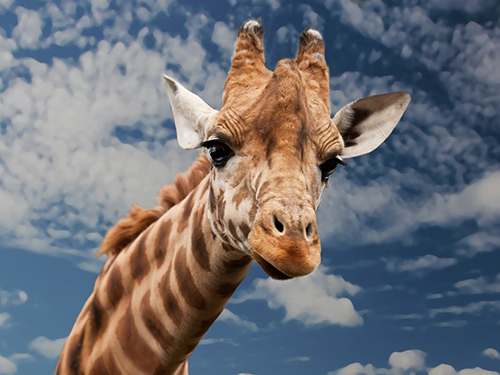 Depression has become so commonplace among zoo animals that there’s a name for it: zoochosis. A lonely, isolated animal will rock back and forth, become despondent, or even try to escape. Zoos have begun drugging animals with medication like Prozac in order to counteract this behavior. Though many zoos claim to be invested in conservation, most captive animals are not endangered and very few are released back into the wild. Instead, zoos use aggressive breeding programs as a draw for people who want to see baby animals. Surplus animals are often sold or killed if they are no longer attracting visitors. Petting zoos may seem like a humane alternative to regular zoos, but they also create suffering. Animals in petting zoos are constantly on the road and are forced to endure strange environments and unfamiliar people. Traveling is extremely stressful for these animals. They are subjected to extreme temperatures and tiny, confined spaces, and they are often dehydrated and underfed. Like farmed animals, they don’t get to enjoy outdoor spaces or do anything that comes naturally to them. Many die because of neglect and improper care. Petting zoos also pose a threat to children by exposing them to pathogens like E. coli and salmonella bacteria—even if they don’t touch the animals. PETA lists just a few of the cases of serious illness contracted as a result of petting zoos since 2002. We can still educate our children about animals — without paying for cruel treatment or teaching them that imprisoning animals in unnatural environments is acceptable. Besides, the educational benefits of zoos are limited and overstated at best. Accredited farm animal sanctuaries, wildlife rehabilitation facilities, nature walks, and birdwatching are all great ways to enjoy animals up close while educating your children about respect for wildlife. Plus, the wealth of incredible books, film, rich photography, and other media about animals has long eliminated our “need” to put animals in zoos. Psychology Today: What Zoos Teach About Biodiversity and Does It Matter?